Dr. David Jernigan, Biologix Center: Could Lyme Disease and Every Other Illness be Caused by Mutations and Accelerated Aging? Could Lyme Disease and Every Other Illness be Caused by Mutations and Accelerated Aging? To age is normal. To experience accelerated aging to the point of premature illness and death is a travesty and is now preventable. 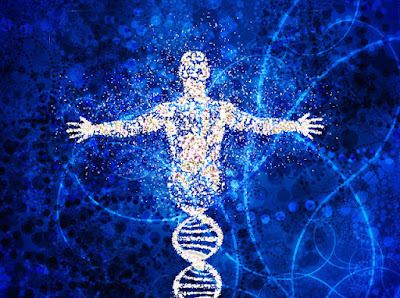 Almost every named illness plaguing mankind today is the effect of premature aging and damage to the blueprint, our DNA. We now know that health is not the product of killing all of the potentially "bad" bacteria. Simply testing positive to having even the bacteria of the serious illness of Lyme disease, does not mean a person will develop the illness. When the overall integrity and function of the body is restored and the aging process reversed, then those same bacteria fade into the background with the thousands of other potentially problematic bacteria that call the healthy human body home. It is the same with every named illness of today's population. When we stop and consider that mankind has been in a continual state of change since the beginning of time, both due to environmental influences and genetic clines and drift within the human population, we can easily see that the lifespan and the dominant types of diseases affecting mankind has steadily changed as well. As recent as the year 1900, about 53% of people died of infectious disease, today only 3% die of infectious disease as a result of mankind's ever changing environment, the advent of antibiotics and improved hygiene. We must also consider mankind's susceptibility to infectious illness has declined due to the progressive genetic shifts that have occurred. Another way to say it is that as a species, mankind of the years around 1900 has moved from being hot-blooded, and prone to predominantly inflammatory diseases, to today's mankind that is prone to predominantly being colder blooded and suffers from sclerotic and degenerative diseases. Degenerative illness in its truest definition is a premature aging process combined with acquired or inherited genetic mutation. Degenerative illnesses predispose mankind to a new set of microbial challenges, such as Lyme disease, which is caused by a host of co-infections that worsen the cold, sclerotic, and degenerative tendencies of today's population. 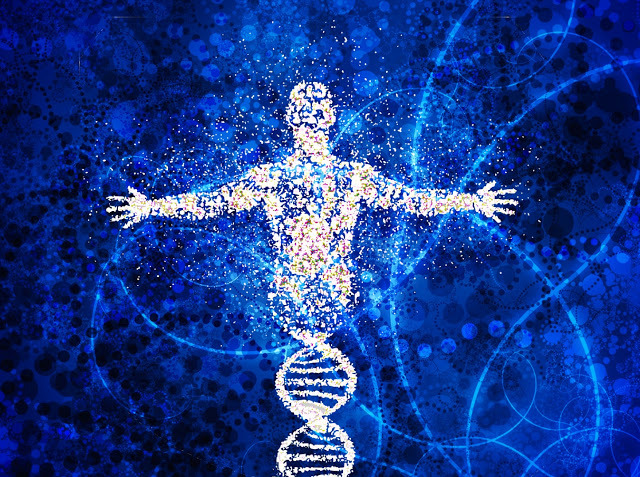 In truth, degeneration and the many chronic illnesses of aging are the accumulation of damage to the DNA and the progressive systemic and biochemical dysregulation of the body. We can easily see the shifting in mankind when considering what used to be considered only geriatric illnesses, arthritis, atherosclerosis, neuro-degeneration, heart disease, diabetes, and cancer are now being seen in our children. Today we live about 82 years. That is approximately 30,000 days, and over 5000 of those days are typically spent in illness and rapid decline. By the age of 60, approximately 40% of our population have two of the illnesses listed above, and the remaining 60% are in various degrees of illness from accelerated biological aging. By the age of 80, there is an 85% likelihood of having two or more of these diseases. If you are chronically sick then you have experienced most medical care blindly treating numbers on lab tests and chasing symptoms. Thankfully new science has largely made archaic this form of medicine. Unfortunately the vast majority of people will not see the scientific breakthroughs that I am discussing for many decades, since they will never venture outside of the mainstream pharmaceutical drug model. Healthcare for the Masses or True Health Restoration? Restorative and regenerative medicine is the new frontier of health care, and the doctors of the Hansa Center for Optimum Health are passionately leading the charge by innovating new ways to reverse the damage and reverse the aging process. Just like its name suggests, restorative and regenerative care seeks to enable the body to heal from the inside out. Restorative care does not require any toxic medications, and when successful, the person is truly well without having to destroy parts of their body with treatments, as is common in pharmaceutical medicine, or having to take drugs for a lifetime. The world is enthralled with the concept of stem cells, which are indeed amazing. However it must be understood that if the DNA is the blueprint for your body, and if that blueprint is flawed in some serious ways, stem cells will give you the best body you can have with those flaws. In other words, if the blueprint of your house shows the front porch being on the side of the house, then the builder (stem cells) will build you the best house with the front porch still on the side of the house. Restorative medicine seeks to not just give your body the supportive products needed to create a work around for the flaws in your blueprint, but to restore the blueprint to the body's optimum layout, so that regenerative medicine can rebuild the most optimum body. New research from around the world is being applied at the Hansa Center for Optimum Health and other facilities that are opening the minds of doctors to these new treatments. There are assumptions made by mainstream medicine. One assumption is that the human body is a purely chemical machine and is mostly unaffected by this modern world that is shrouded in an inescapable barrage of man-made electromagnetic pollution from cell phones, computers, power lines, and smart meters, and can tolerate generations of pharmaceutical interventions that mutated our DNA as well as the DNA of garden-variety microbes turning them into super-bugs. They are wrong! The other assumption is that the body is not intelligent and the only way to treat it is to either manage or mask the symptoms or give lifetime drugs that substitute for what the body should be doing for itself. Again, they are wrong! The reality is that our bodies are not born with the software to know how to deal with the multitude of challenges of this modern age, but the human body is definitely not stupid. If all a doctor is going to do is look at blood tests, the best that can be hoped for is to find a named illness and use the standard cookbook doctoring of pharmaceuticals, using a reactionary approach that simplistically thinks that just because some mineral or nutrient is low in the blood that we can just give the body that substance and all will be fixed. Unfortunately, even though vitamins and nutrients can make positive change, by themselves they cannot truly shift the human organism away from the seemingly inevitable fate of accelerated aging and its predictably premature death. I am not saying that blood tests and physical exams are not important, but they too often just reflect symptoms and not the true cause of the illness, even if we are discussing infections. Thankfully new scientific innovations can help us enable the brain and body to essentially reset to factory specs, and retrain the body to handle all of these issues. Computer analogies work perfectly to help understand what has gone wrong with the human body. Anyone who has used a computer, especially a PC-type computer, knows that every website you visit, every window you open, every file you open, work on, delete, every picture you open, leaves behind fragments of computer code. These fragments of information corrupt and slow down your computer, and make it more vulnerable to attacks of computer viruses and other forms of attack. Eventually you need to defrag the computer and install new protective anti-virus software to correct the way information is handled by your computer. Once restored, your computer runs normally again, and in some cases, thanks to better versions of the software, it is faster and more efficient than before! From conception to old age, every micro-trauma and absolute trauma from any cause affecting you structurally, chemically, emotionally, mentally, spiritually, environmentally, or energetically, will corrupt the structure and function of the brain and body, as well as the genetic expression of your DNA, thus predisposing you to the diseases of our day. These interferences slowdown and corrupt the regulation of the immune system and every other system in the body, leading to disease. Restorative care seeks, through state-of-the-science technologies, to defrag the brain and body and enable the brain to reset itself. Your body, mind, and spirit can also run faster and be more efficient that it ever was, due to the newly restored hardware and software. You do not have chronic infections from a deficiency of antibiotics. You do not have cancer from a deficiency of chemo drugs. You don't have allergies from a deficiency of antihistamines. You don't have depression from a deficiency of antidepressants. You don't have high blood pressure from a deficiency of heart medicines. Yet many will defend their use over restorative care, because drugs are the standard of mainstream medicine of the world. Restorative care seeks to restore your optimum design. From there your body can heal itself rapidly and keep you as well as you are willing to maintain it. Regenerative care seeks to enable the body to reverse the aging process. The combination of the two, restorative and regenerative care, seek to provide every tissue, organ, and system of the body with the ability to dramatically slow the aging process and in some instances reverse the degeneration and disease caused by accelerated aging. If we want to truly enable the body to heal from Lyme disease, MS, cancer, heart disease, autism, or any other issue, we absolutely must achieve these same things. We must defrag the brain so that it can run as efficiently as it was originally designed to. We need to address all of the accumulated damage and interferences in every system and tissue of the body, while providing the body all the building blocks and information it needs to heal. Only then can your body truly recover and reach its maximum potential on all levels. I have come up with my own definition of Optimum Health. I define it as that point where the body, mind, and spirit can adapt instantly and correctly to any challenge from its internal and external environment. For those of you that have health insurance, that insurance covers an illness care system that is not in your best interest, even if it is free! I encourage you to get off of the system of healthcare and pharmaceutical medicine that has created the worst health in the world, and live the vibrant and healthy life you were designed to live to 120 years of age! It isn't necessarily how long you live that matters, but the quality of life you experience while you are alive. Only God knows the number of our days. Keeping your temple clean (body, mind and spirit) and optimally healthy is always the best strategy. What we are adding to our arsenal in 2018 and 2019 is very exciting, and even if you have already been to the Hansa Center, we can help you gain even greater improvements! For over 23 years the Hansa Center for Optimum Health, in Wichita, Kansas has specialized in the restoration of health for people with previously unresponsive and chronic illnesses of virtually all types. Over 85% of people come from other states and countries. If you have done everything you and your doctor know to do and are still struggling, contact our wonderful Patient Care Coordinator, Kara, at patientcare@hansacenter.com, for information on the exciting new treatments we have developed at the Hansa Center for Optimum Health. For additional info, visit our website at www.HansaCenter.com.